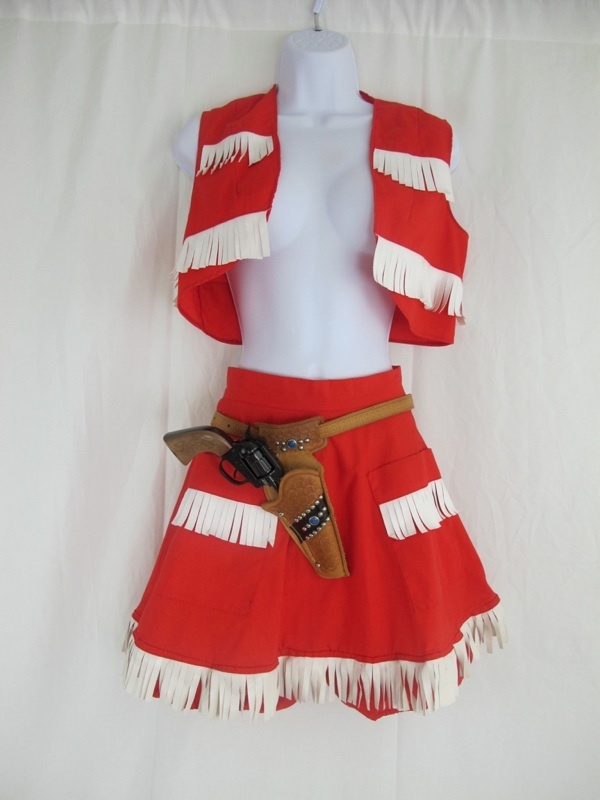 If this vintage cow girl costume doesn’t make you wanna play dress up (for Halloween or otherwise), I doubt little will. I’m pretty sure there will be witnesses who remember her committing this train robbery. Great for rounding up cattle — and pugs. 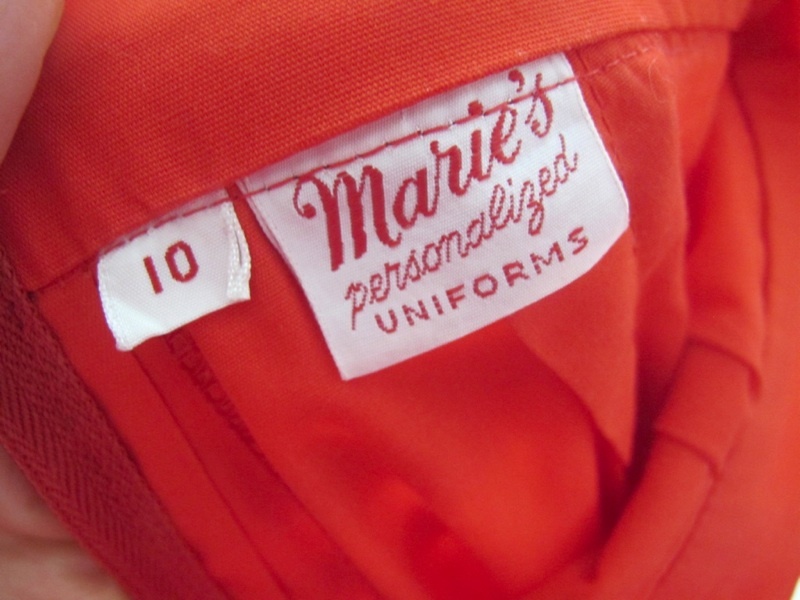 Now that I’ve sold you on how practical this is, let’s get down to some facts… It’s said to be a 1950s burlesque costume — though with the Marie’s Custom Uniforms label maybe it was an equally cool, in my opinion, diner waitress uniform. 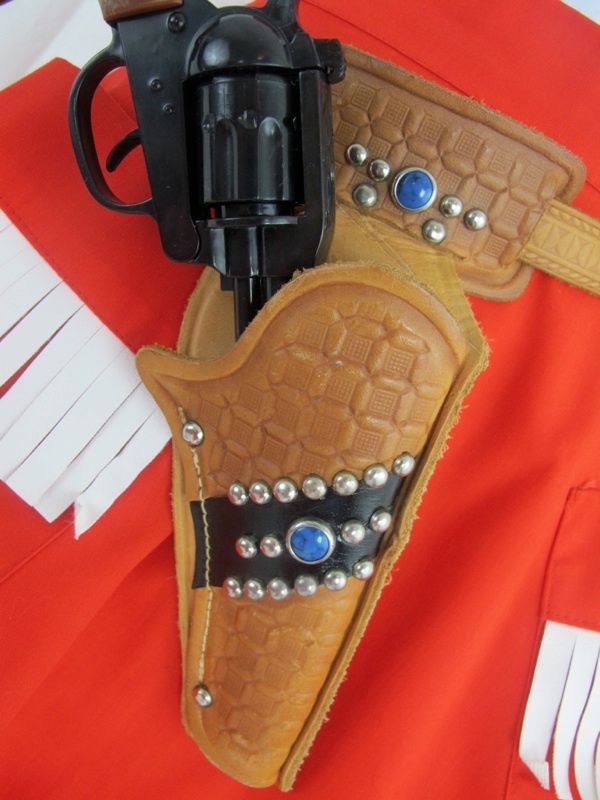 The gun holster is from the 70s and the pistol a new prop. Now that you’re packin’ heat, may I interest you in a duel with a pistol blow dryer?